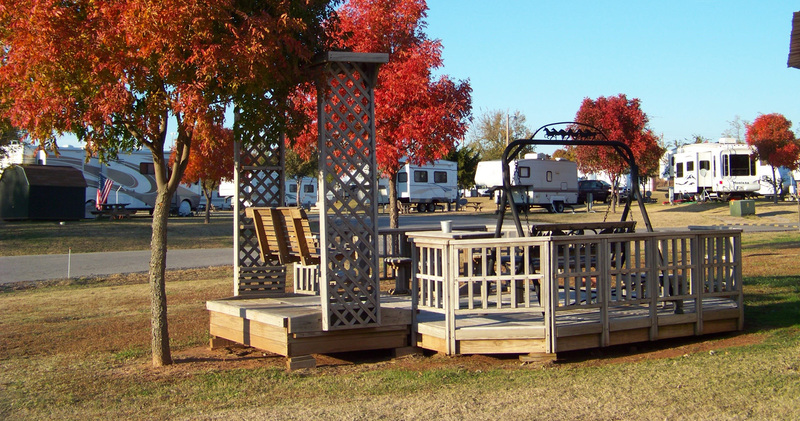 A-AAA Adult RV Park is a beautiful, quiet and safe, family-owned Adult RV Park situated on 18 acres of trees and grass yards surrounded by two creeks in the southwest Oklahoma City Metro area. Lots are level and super wide with 30/50 amp service. 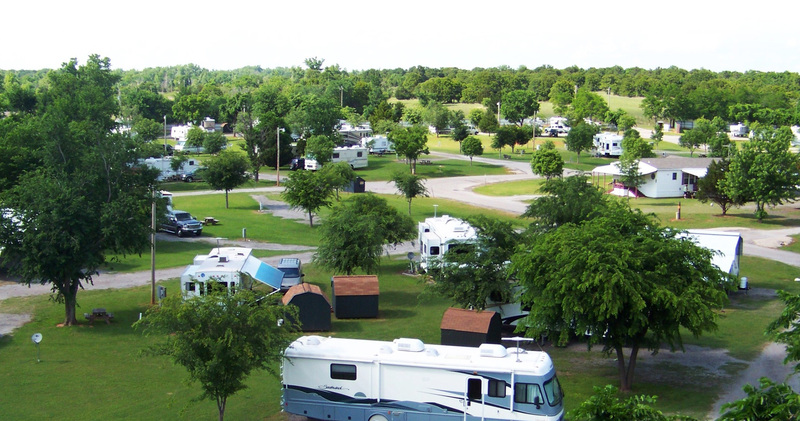 For long term visitors, storage buildings are available that can be moved to your lot.